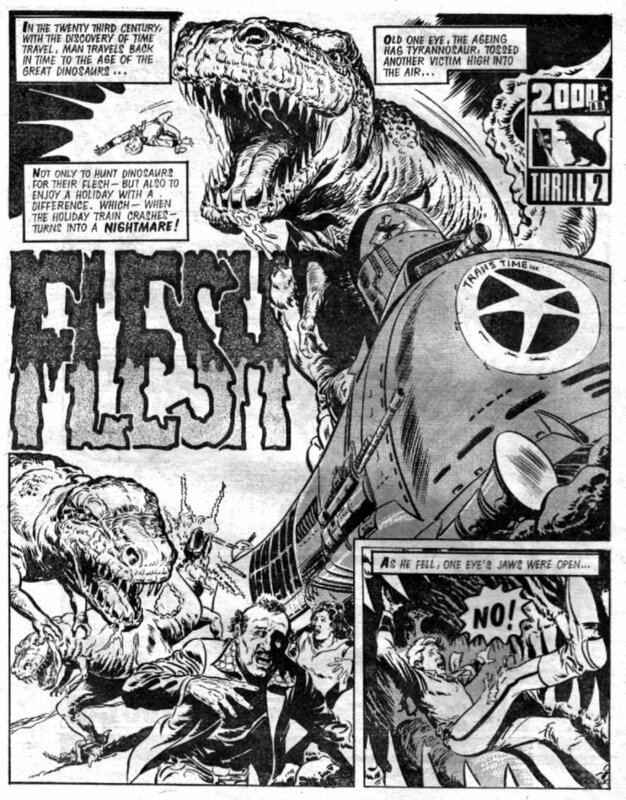 Some finales seem obvious – Dredd reaching the end of the Cursed Earth, the T. Rex Old One Eye leading her dinosaurs to victory over the hated humans in Flesh. Nemesis and Torquemada fighting to the death. Jason Bourne hurtling after his enemy in yet another fantastic car chase. But things have to get worse and worse and worse – emotionally as well as physically – before the final pay-off, which ideally involves a profound twist, illuminating and resolving the theme of the story. The finale is ‘fed’ by the theme of the story, played out over three acts. One side winning, then the other, until, by the end of the third act, the situation seems to have completely spiralled out of control so we’re on the edge of our seats, desperate to see the final outcome. Then comes the twist, which profoundly illuminates the theme. Producers and editors often prefer the writer to work back from the ending. But sometimes you can only do this provisionally, with a placeholder ending, because as you get deeper into the story and characters, you gain new insights which are not immediately apparent. There are endless examples of this, such as Chinatown. During filming, director Polanski changed the writer’s ending to a tragic one. Which is why that film is so powerful: evil triumphs: the truly hateful villain (played by John Huston) gets away with his crimes. And that’s a valid reflection of real life – villains of this ilk invariably do get away with their crimes. Polanski said if Chinatown had ended happily, ‘We wouldn’t be sitting round talking about it today.’ Even so, I’m still not happy about the bad guy winning, which is why I can’t say it’s a favourite finale of mine. 2. 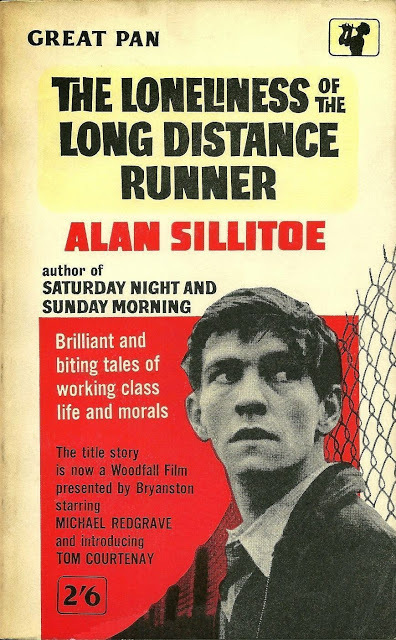 The Loneliness of the Long Distance Runner Colin Smith, a borstal boy (played by Tom Courtenay), challenges authority, but the prison governor sees he has potential as a long distance runner. So he grooms him for stardom, which will win prestige for the governor as well as Colin. In the final race he competes with privileged boys from a nearby public school. He easily outdistances the public schoolboys, but then deliberately throws the race, to the fury of the governor. It’s the ultimate ‘V’ sign to authority. Such a film couldn’t be made today because those same public schoolboys now sadly control every aspect of the media and opportunities to tell working class truth (as opposed to parody or stereotype) are limited. This is why I was always impressed by Ella on Easy Street – a girls’ comic serial in Tammy by radio scriptwriter Charles Herring and artist Casanovas. Ella’s family is determined to do better in life, go to night school, get qualifications, find good, white collar jobs and so on. But Ella realises they are actually far happier as they are now. So she sets out to sabotage her family’s efforts to ‘better themselves’ because she wants them all to remain on Easy Street. It’s a brilliant and seditious idea that challenges everything society stands for and asks us what we would really prefer: ambition or personal happiness? It must have had a profound effect on its young readers. 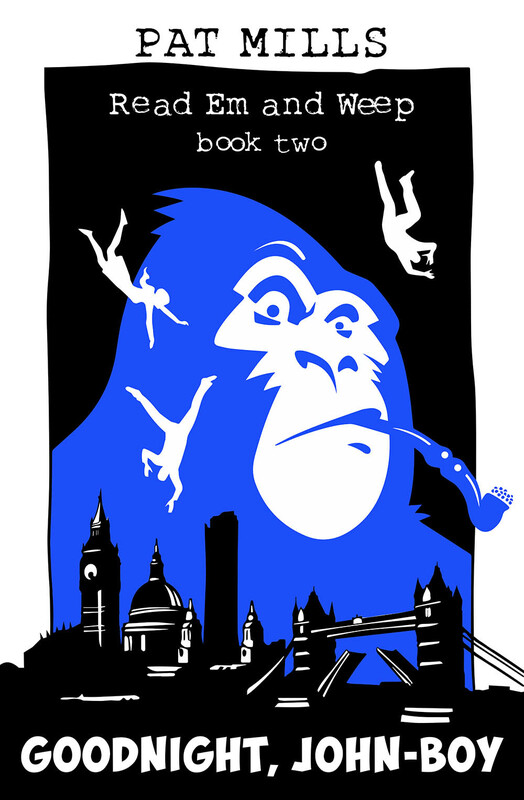 Whilst I vaguely recall Ella eventually ‘came to her senses’ (the inevitable reassuring cop-out), it’s not the ending that I remember and I suspect it was the same for the readers. Ella is a good example of where the ending does not have the power that it should – because there is no truth behind it. Hence why I’ve forgotten it. This story wasn’t worked out from the ending. That’s hardly the writer’s fault – our serials had to have traditional, reassuring, ‘happy ever after’ endings. Ugh! There was a valid fear amongst editorial staff that the publishers, middle-class parents or the numerous enemies of comics, like Mary Whitehouse, would object to a ‘negative’ or challenging ending. I’d always say – let them. You’d really rather tell kids cosy establishment lies? It was something I fought against with some limited success when creating Misty. 3) Sláine The Horned God All the previous Sláine stories have been leading up to this momentous finale: the final battle between Sláine and Slough Feg. The new Horned God versus the old impotent Horned God. Feg laments, ‘This old man now feeble was not so in his youth. Many a carcass was usual from his hand. Vigorously young witches loved me… And now… I am…withered and decrepit.’ Powerfully visualised by Simon Bisley, Sláine throws the fearsome gae bolga spear with his foot. It’s embedded in Feg’s groin and thus represents a giant phallus. The demented Feg sees the cosmic joke and goes laughing to his death. Although other aspects of the ending I’d worked out in advance, this wasn’t one of them. I had to get deeply inside the story for the appropriate twist to be revealed to me. This was a very emotional moment for me. I’d taken those few lines from a dusty ancient chronicle and built a long-running serial upon them. It was something I’d been planning since episode one, so I had worked backwards from that ending. 4. Read ‘Em And Weep series: Serial Killer (Book One); Goodnight, John-Boy (Book Two) Like the early Sláine stories, they are focussed on establishing characters, locations, events and setting murders up early on in Books One and Two. Whilst there are killings en route, each volume ends on a cliff-hanger, rather than a conclusive finale. At the same time, there still has to be a certain sense of containment and completion of each novel. So Serial Killer features the story of Blitzkrieg! (Battle). Good Night, John-Boy features the story of Aaagh! (Action) and how it came to be banned, including the famous scene where Action was ripped up by an interviewer on live television! The Grim Reader (Book Three, to be written) will be the story of Space Warp (2000AD featuring Judge Dredd), and Book Four will be the story of Raven (Misty). In Goodnight, John-Boy, we can see the target for Book Three, and what an evil scumbag he is, and look forward to his demise in that volume. I’m certainly looking forward to it! This won’t be like Roman Polanski’s villain getting away with it. All too often, establishment villains, like the character in Chinatown, conveniently die before their crimes are finally discovered. Crimes that nobody, equally conveniently, ever seemed to know about when they were alive. Even after death, the web is suspiciously thin on certain details and the relationships of dead scumbags with important people and institutions. I like to think the Read ‘Em And Weep series provides a cathartic alternative and an insight into certain aspects of establishment cover-ups. A key death in Book Three seemed so preordained, many readers of the series assumed it must end with that volume. But it was always planned as four books. So if there’s an epic finale in Book Three, where does that leave the final volume? Won’t it be rather anti-climactic? The answer is that Book Four must step up to an even more dramatic killing and finale. To ensure it’s not ‘bolted on’, I had it worked out from the beginning. It’s so savage and so deserved, I don’t like think about it too much, otherwise I’ll get carried away and want to start writing it tomorrow. There are clues in Books One and Two if you like to second-guess where the story is going. So I certainly worked backwards from the action finale in Book Four and the various other story threads that need resolving. That said, it’s impossible to keep it all in your head and there’s a limit to how many copious notes to write and read. 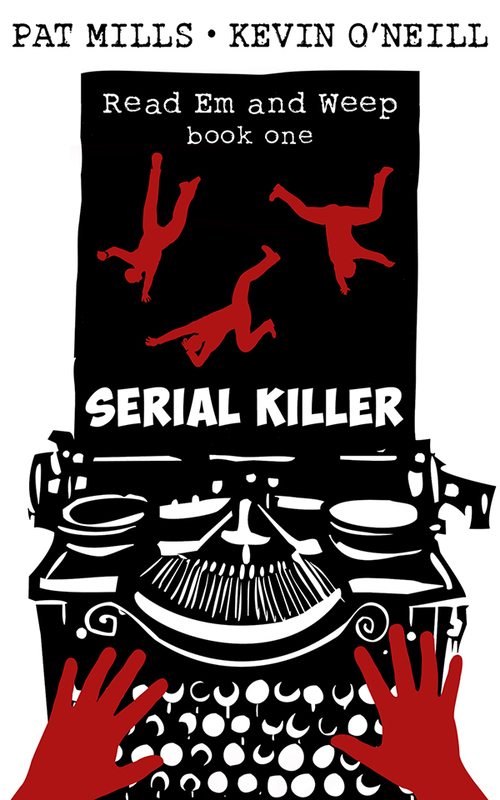 I’d written so many for Serial Killer, it took me a week to go through them before I got started. In all this, there’s a short cut, a way of slicing through such an avalanche of words. And that is your motivation. Motive will make everything clear and, potentially, simple for you. Why are you writing in the first place? And just to get the obvious reasons out of the way – it’s not just because you like novels or comics, or because it’s better than a real job, or you think you could make loads of money. 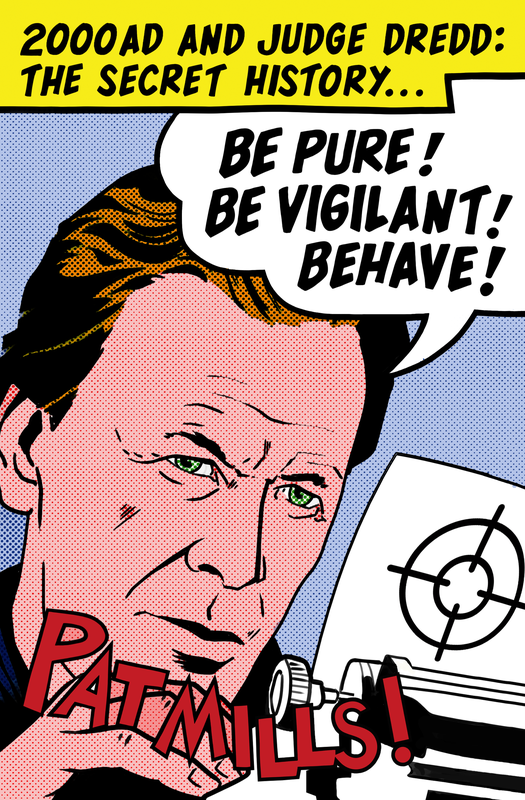 And let’s bypass the work of predator writers who (supposedly) want to ‘pay homage’ to their favourite comic writers and characters by slavishly copying them, or even taking over their intellectual properties if they get the chance. And ignore the hacks who just knock it out for the cash. That hilarious sketch in Little Britain comes to mind, with Dame Sally Markham lying on a chaise longue, dictating to a secretary, trying to stretch out a novel to the required number of pages with an umpteen page scream! I remember reading novels like that as a kid and then avoiding further books by the same authors. The Flame secret agent novels of Eric Leyland come to mind. They were extremely popular but I felt, as a boy, they were mechanical; lacking in heart, and I noted how they always seemed to end promptly on page 195, possibly a stipulation in the author’s contract. Motivation is something much deeper and – in my case, at least – darker. It’s more accurately described as the muse. But, before we discover the muse, I need to go over the theme in more detail, which acts as a mirror to the muse. We will see her dark reflection in the themes we choose and you may or may not like what you see, but it’s who we are as writers, and we are stuck with her – for better or worse. Pat, I bet you have the final ‘scene’ of these blog postings already in mind and are working towards it, just like the Serial Killer books. I expect a ‘dead dinosaur eats arrogant palaeontologist’ ending.